At SPEAR, we are fully committed to ensuring the successful career progression of every one of our team members. This commitment is the motivation behind the creation of two distinct programs that, together, offer members of our team opportunities to develop clinical skills, leadership and management expertise, and even teaching experience. Regardless of your professional goals, SPEAR has created a pathway for you to pursue them. Our Professional Development program is at the heart of who we are as a company, and one reason we consistently attract the world’s most talented, proactive and motivated professionals. 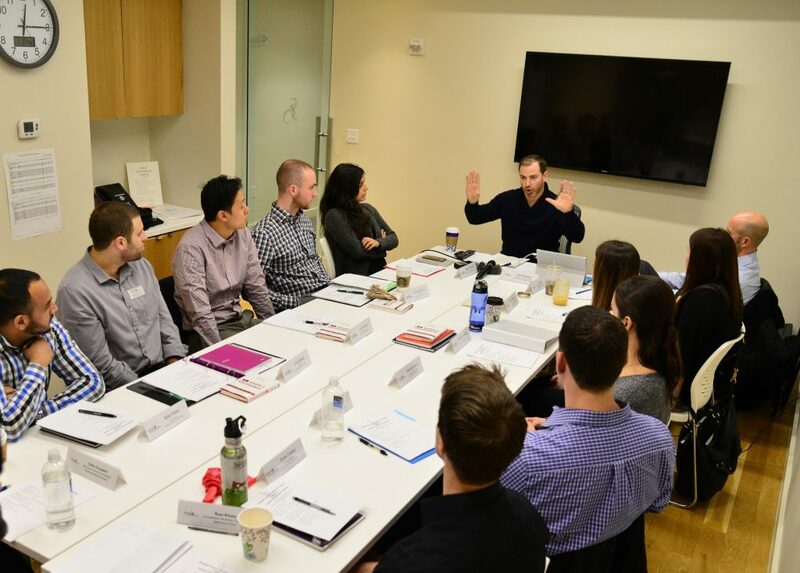 SPEAR Co-founder and CEO Dan Rootenberg‘s singular passion for making great people be even greater helped give life to the SPEAR Future Leader Program, or SFLP. 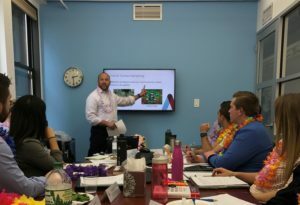 This award-winning leadership development program—one of the primary reasons that SPEAR was named Best Private Practice in the U.S. by the American Physical Therapy Association—gives opportunities to a select group of team members each year access to 12 months of best practices training in Management, Leadership, Operations, Financials, Business Development and Marketing Strategies. SPEAR’s Future Leaders in training. SPEAR teammates have the chance to learn and grow at SPEAR, with an award-winning training program that’s one-of-a-kind. Responsible for nurturing superior leaders year after year, some of the most successful programs SPEAR has ever launched have had their genesis in the SFLP program. These include SPEAR On-Call, a mobile service that brings the best PTs in New York right to your home, hotel or office; and our brand-new leadership position for PT technicians: Director of Tech Operations. At SPEAR, we believe in devoting time, resources and energy towards the development of the next generation of therapists. To these ends, as part of our Clinical Education program, we pair students with instructors in an open source learning environment, providing milestones and standards based on educational and clinical progression. Clinical training comes in many ways at SPEAR. One of our favorites is treating together at children’s sports clinics. Our multi-layered Clinical Education program is constructed to give back to both our company and our clinicians. Awarded the prestigious Columbia Award for Leadership in Clinical Education — given to only the top 1/10th of 1% of clinics in the country, our Clinical Education program facilitates the growth of clinical skills, and provides experienced clinicians the opportunity to grow as educators within the field. Clinical Skills training targets the clinician at every level, from student, to entry-level clinician, to experienced clinician. Services for therapists who choose this track include one-to-one mentoring for entry-level clinicians, internal workshops that let clinicians practice skills and clinical reasoning in real time, and hosting students from accredited programs to complete their clinical rotations. Spend one-on-one time on a regular basis reviewing manual skills, clinical reasoning, and other topics of interest. Guidelines and resources are provided to facilitate these sessions, but mentors are encouraged to bring their own leadership style to the process. Accepting students for fulfillment of their clinical rotations is an aspect of the profession we enjoy, and we continue to be recognized by these programs as a provider of clinical excellence to their students. Through a 1:1 pairing, our qualified clinicians have the opportunity to progress a student through their entire clinical rotation, offering expert guidance around goal setting, feedback techniques, and time management. Collaborate with other clinicians to develop in-person workshops that include pre-workshop assignments, lecture materials, and a two-hour workshop on relevant manual techniques, hands-on practices, and clinical reasoning. In addition to fostering individual clinical growth for our highly skilled team of therapists, SPEAR places great value on giving its therapists the means to explore and express their leadership skills through an educational track. 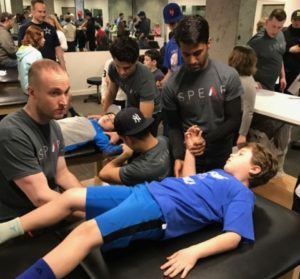 Our Professional Development program is ever-growing, and influenced by the unique skills, interests, and expertise of the therapists that make up the SPEAR team. We love Physical Therapy, and we love our people! The opportunities in this industry — and at our company, specifically, — are boundless. Come join us! And if you’re a new PT, our CEO has a few free tips for you right here.